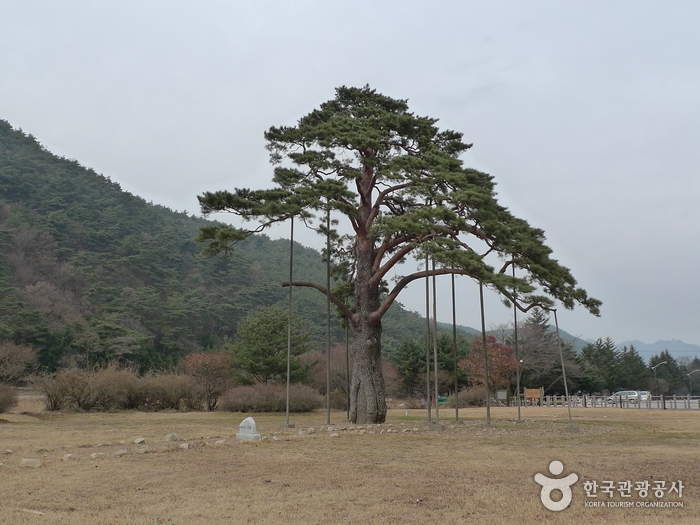 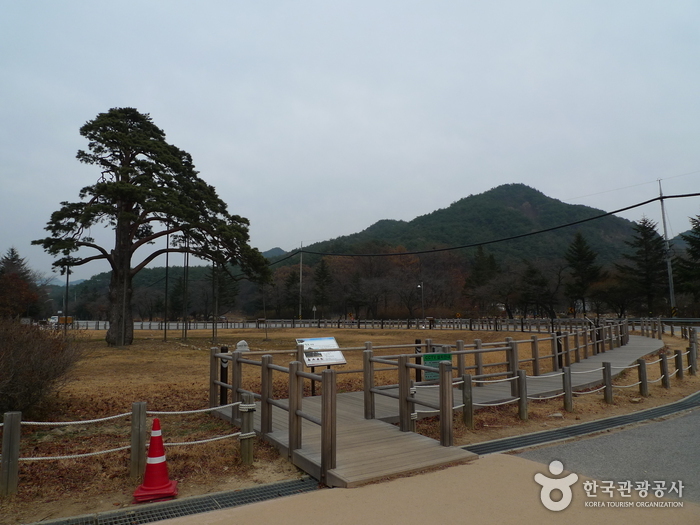 This 600-year-old pine tree stands at the entrance to Songnisan Mountain in Boeun-gun, Chungcheongbuk-do. 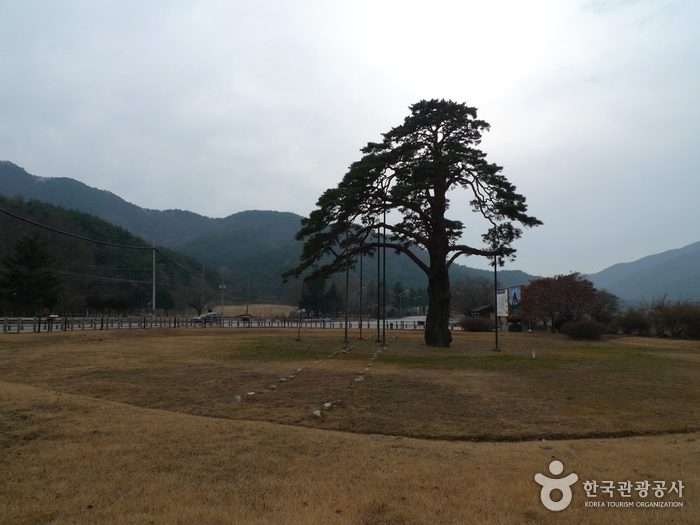 This old tree, designated as Natural Monument No. 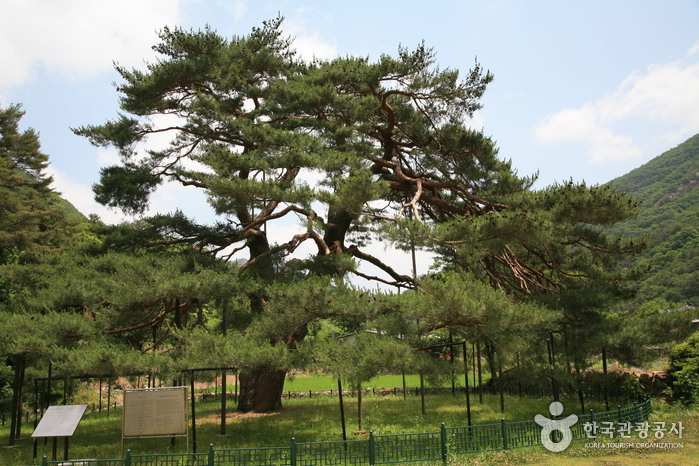 103, is 15 meters in height and 4.5 meters in girth. 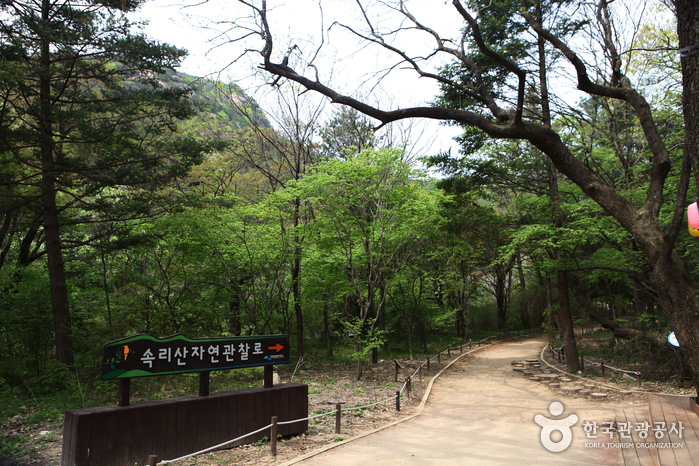 Its branches stretch 10.3 meters to the east, 9.6 meters to the west and 10 meters to the north. 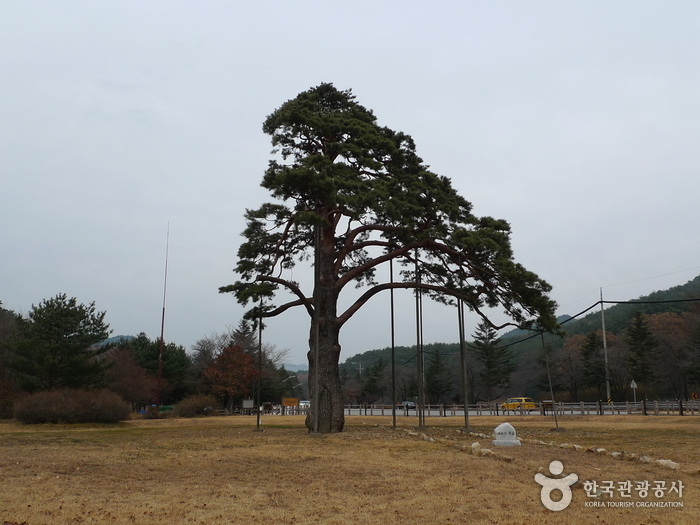 Shaped like an open umbrella, this pine tree has long been the symbol of Songnisan Mountain, and has even been awarded the title of a Jeongipum grade official of the Joseon Court. 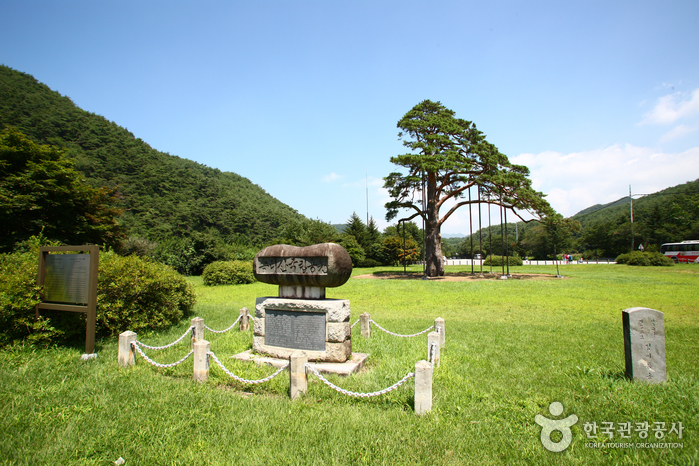 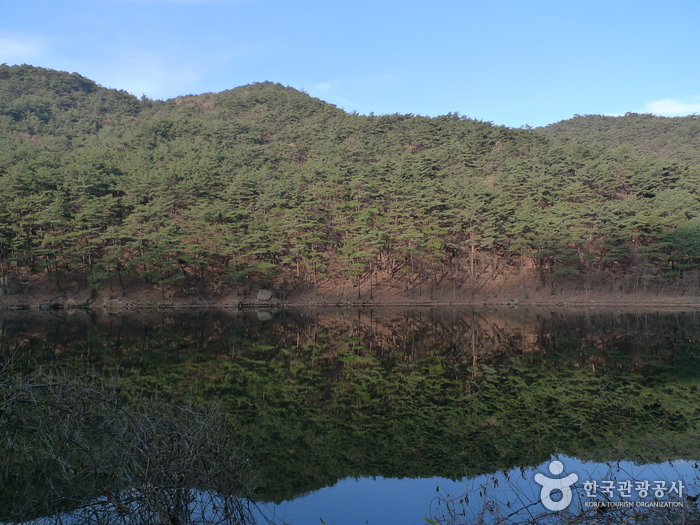 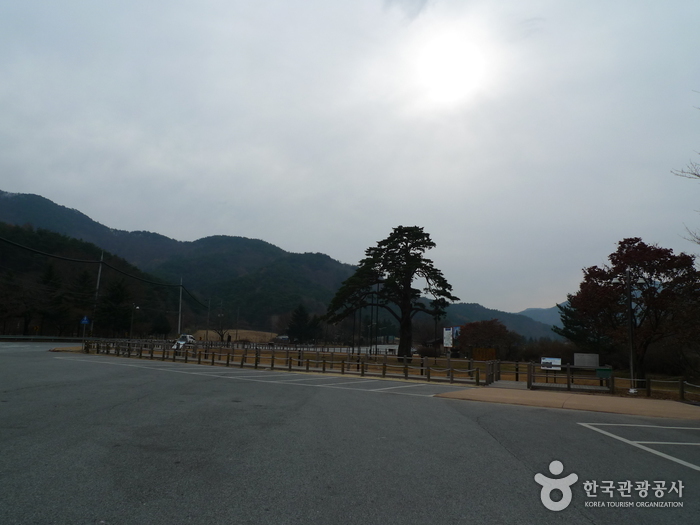 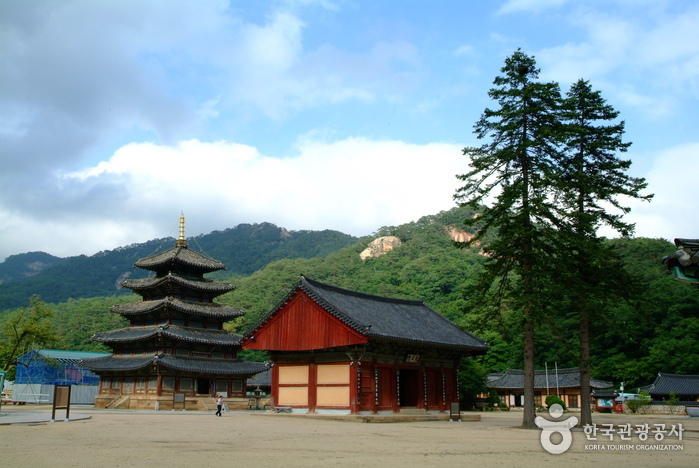 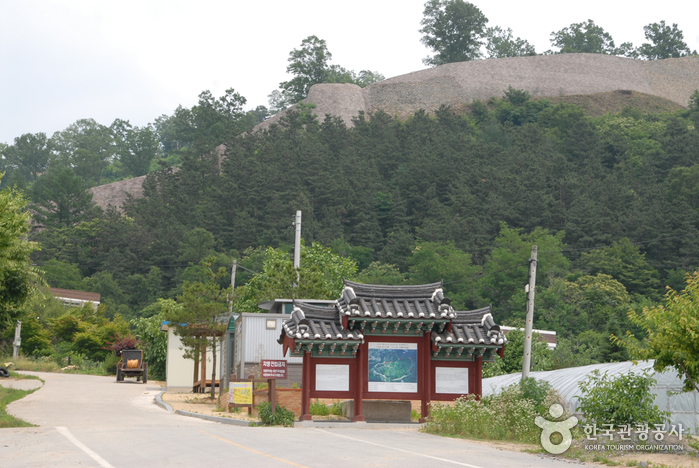 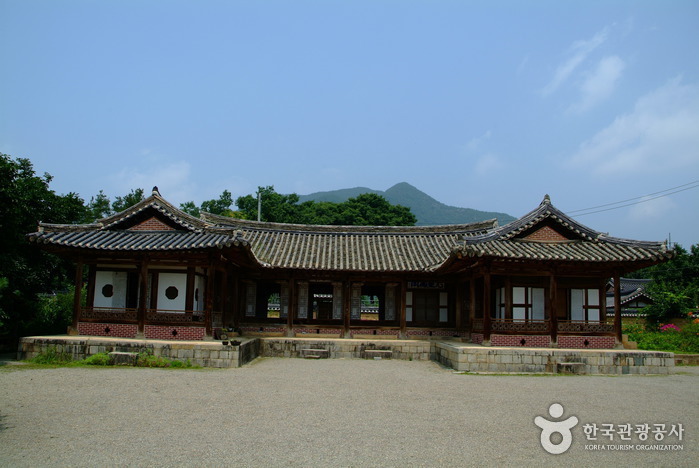 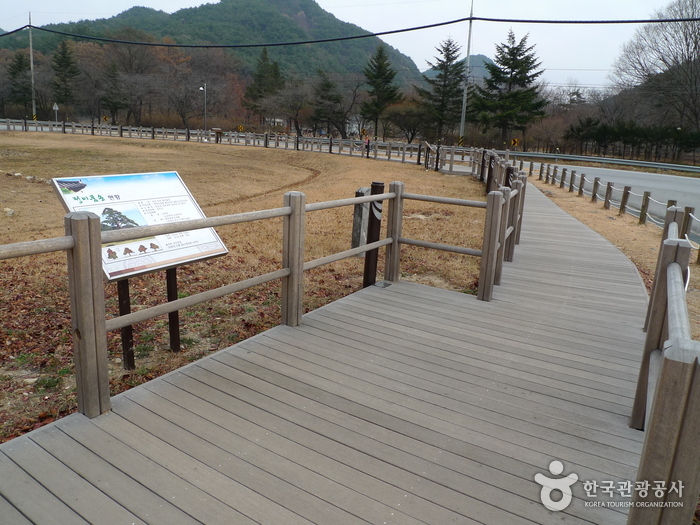 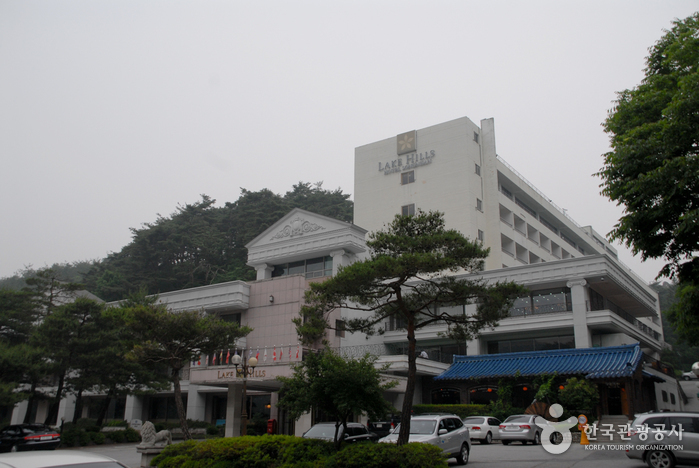 King Sejo visited Onyang Hot Springs and Songnisan Mountain in 1464 to cure an illness. 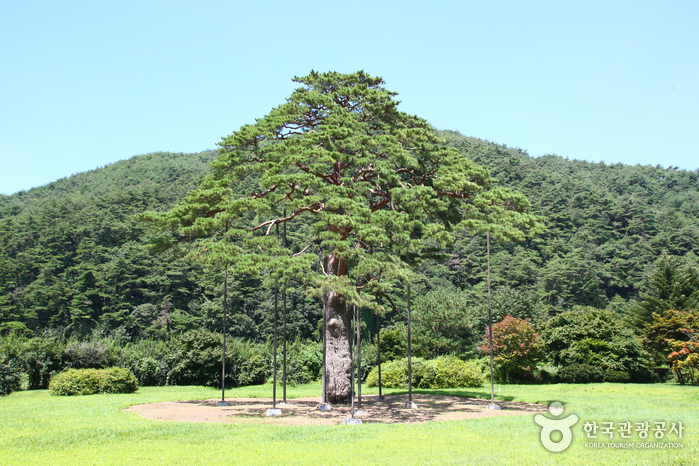 While passing under this tree, he looked up and saw that his royal sedan chair was about to be ensnared in the tree’s branches. 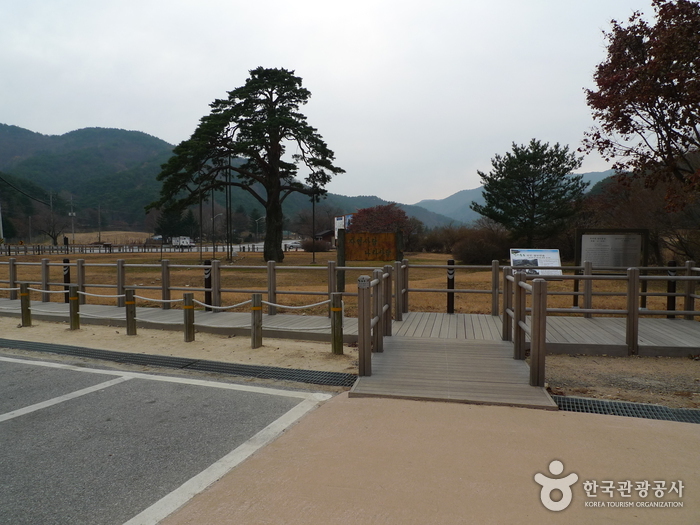 As he called for his bearers to look out, the branches suddenly lifted for the royal procession to proceed. 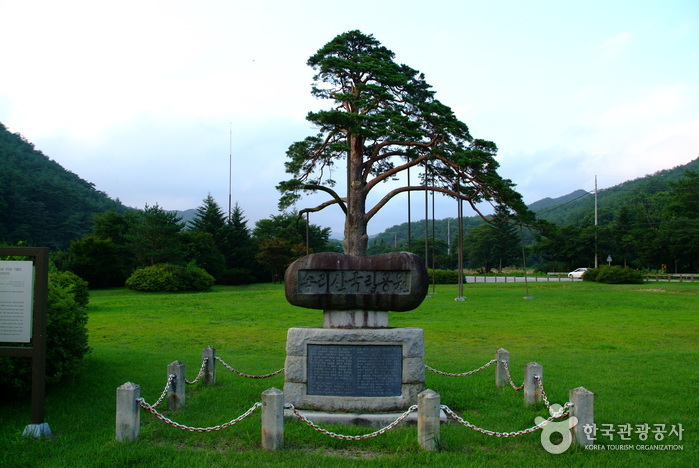 On his way to Seoul, King Sejo was also able to take shelter from a rain shower under this tree. 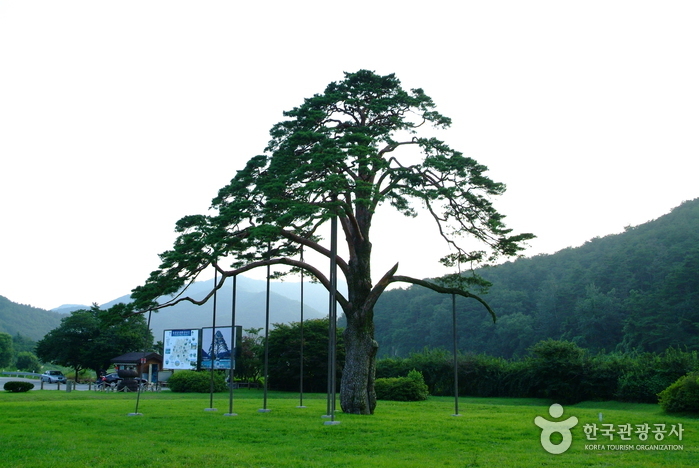 Therefore, he bestowed upon the tree the ministerial rank of Jeongipum.